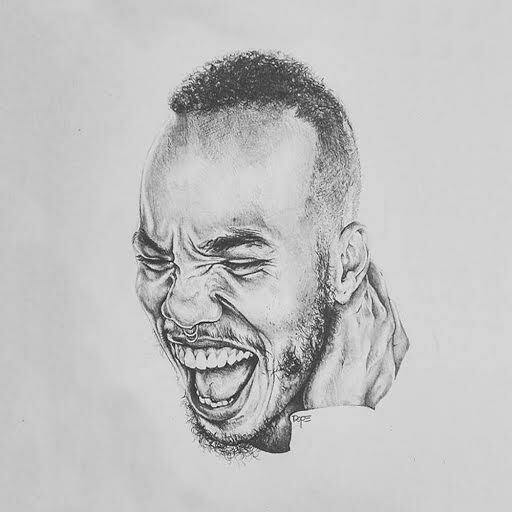 What’s Anderson .Paak’s Best Life Advice? In the midst of handing out L’s to his tourmates on PS4, Anderson .Paak assisted me with some magical game of his own. The soulful musical hybrid, who arguably delivered my album of the year, seemed to have everything except an ego. Fresh off SXSW and Coachella stages (live shows being his bread and butter), .Paak is now traveling state-to-state before taking his Malibu tour globally. What started from reaching out on Twitter, .Paak welcomed me on his bus to chop it up about working with Dr. Dre, emotionally opening up for the first time on Malibu, and he even dropped a few gems for you aspiring creatives. I always thought I was just a little misfit. They didn’t know what box to put me in for a long time. They didn’t really know what the wave was until the people finally came around. I think my tone and my vocal presence has gotten more distinct as time passed. The music I was making became a little more defined. I’ve always been someone who refuses to get tied down under one category. The younger generation now is accepting of that since they listen to all types of music. It’s certainly what I do this for. I love it when people are really playing my music and appreciate me being one of the better lyricists in the game. Especially since the appreciation for musicianship is at an all-time low. Once Compton came out and I was able to meet people I respected like Kendrick Lamar and ScHoolboy Q, they told me “Keep doing your thing, you killed that soundtrack.” It really inspired me going into Malibu. Working with Game broadened my perspective and cleared my vision, too. But we didn’t wait for nobody after the Dre thing. We were ready to go. I don’t really think Dre even wanted us to put out Malibu at first. He probably wanted us to wait or whatever but I’m really glad that we did because it kept the momentum going. I was in high school thinking I should have been signed. I thought I was going to be like Kanye, making beats and rapping. After high school ended and I wasn’t on, I damn near quit. I had the mindset that if I hadn’t made it yet I never would. But that was just trial and error because at the end of the day this is what I do. Regardless I’m always going to do this–even when I’m not hot anymore. This is my best advice for other creatives. Your craft has to come first. A lot of people think they can do one thing then something else on the side, and some can, but nothing comes without risk. You’ve got to be willing to die for this because somebody else is and they’re going to swoop right past you. Eat, breathe and live whatever you’re passionate about. I guess there’s a little bit of pressure–but good pressure. I always try to outdo myself and continue to get better on each project. It’s all about keeping it exciting for me and not getting bored. Especially being under Dre and being part of that lineage, I want to put some numbers on the board like the other artists he’s worked with. I want to impact the game just as they did. This next album just has to be bigger, brighter and better. We’re already in that zone but there are some people involved now that intensify that. I want to get my mom a house so I’m working on that. I would like to get a Grammy. I built my own studio recently, which was a goal I got to cross off the list. I want to set up a nice situation for my band, The Free Nationals, so we can produce more for the industry–maybe a production deal? And I’d even like to put out artists in the future.